Check out the latest paper from the UW Massive Stars research group! This is the next paper in a series by second-year graduate student Kathryn Neugent. In her first paper she presented a photometric method for detecting red supergiants with binary companions. Here she applies her method to RSG samples, spectroscopically tests the results, and detects 87 new RSGs, ALL with B-star companions – this more than quintuples the number of RSGs in known binaries! She also determines the physical properties of the RSGs and their companions (all B stars, as predicted! 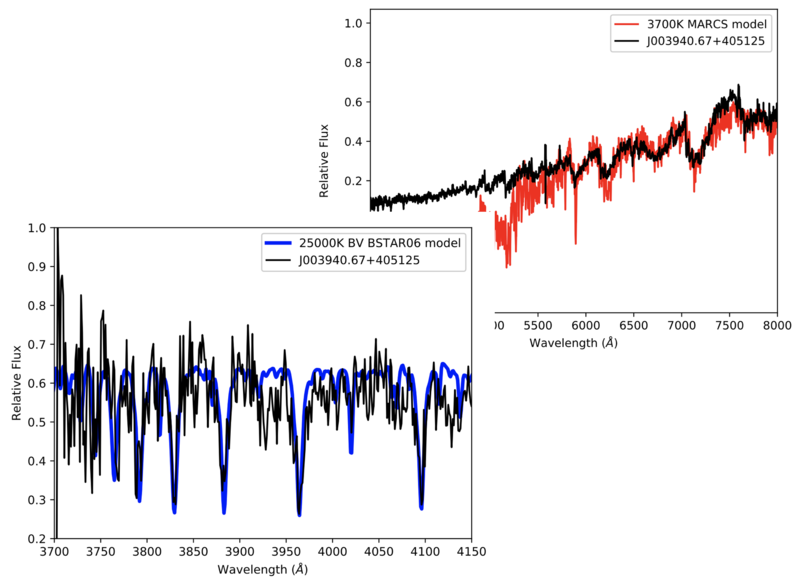 ), and discovers an interesting new system: the first RSG+Be star binary! The paper is currently in press with ApJ and can be found on arXiv.